Business Secretary Sajid Javid has ordered the Insolvency Service to investigate the collapse of UK department store BHS. 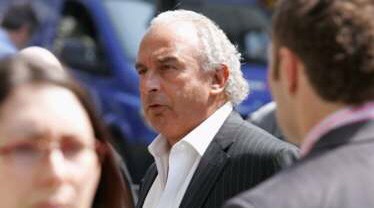 It comes as former owner Sir Philip Green agreed to appear before two Commons committees to answer questions about the collapse. Sir Philip sold BHS to Retail Acquisitions last year for £1, but has faced criticism about his role. BHS went into administration last month, threatening thousands of jobs. Mr Javid said in a statement: “I have asked the Insolvency Service to bring forward its investigation rather than wait three months for the administrators to report before launching their inquiry. Sir Philip bought BHS in 2000 for £200m, but sold the department store last year. At the time, there were questions over the lack of retail experience of Dominic Chappell and his team at Retail Acquisitions, which became the majority shareholder of the department store. A fortnight ago, the business fell into administration with debts of £1.3bn – including a pension deficit of £571m – putting 11,000 jobs at risk across 164 stores nationwide. Sir Philip is believed to have offered to provide about £80m to help plug the pension deficit. But he has already faced accusations that he crashed BHS “into a cliff”, from the chairman of the Business Innovation and Skills Committee, Iain Wright. Meanwhile, Frank Field, chairman of the Work and Pensions Committee, said Sir Philip had contacted Parliament and “indicated his willingness to come to Parliament to give oral evidence” to a joint session of the Work and Pensions select committee and the Business, Innovation and Skills committee. No date had yet been set for his appearance. There were suggestions that the committees also wanted to quiz Sir Philip’s wife, Lady Green. But Mr Field said he believed Sir Philip “will be able to answer all of our questions on the operations of BHS’s pension fund”. Posted on May 5, 2016, in #retail, #uk, Other. Bookmark the permalink. Leave a comment.